Hi! If you still don't use Dropbox, it's time to start. As of now you can get up to 32GB of free space (the referral space just doubled to 500MB). You can use it on your iOS, Android, BlackBerry to automatically upload pictures to your Dropbox and quickly share them with others. Dropbox integrates into Facebook and Twitter so you can share your files with your friends and coworkers. 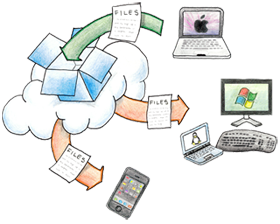 You can share your files with anybody, not only Dropbox users! My favorite feature is the way Dropbox handles my files. Similar to OSX Lion, Dropbox saves versions of your files. So even when you change it in your Dropbox, or accidentally delete it, you can still restore it to the last know version. This functionality doesn't require OSX Lion! Better and faster solution is Key Mapper ! This small (615KB in size) program will bring the speed and comfort of your Apple Wireless Keyboard to Windows 7. You won't be able to switch back and forth between mappings because of the way Windows 7 is handling them, but who would like to switch back to standard useless mapping with! On the side note, there is one restart necessary for your mappings to take effect (again it is a Windows 7 thing only). The new iPhone won't be released till autumn (september or october as many sources claim). This video is unfortunately fake but uses renderings made out of chinese iPhone 5 cases which were found in china. The iPhone5 specifications found on the page are also in line with all rumors found on the web. The new iPhone looks nice and makes you want it straight away but, as I said, you will have to wait till september or october to buy it. For those confused, this video shows the new iPhone 5 which will be released later this year and sold for roughly the same price as iPhone 4 when it was released. The cheaper model, one that everybody is talking about will be a modified version of iPhone 4 as iPhone 3GS will be discontinued. 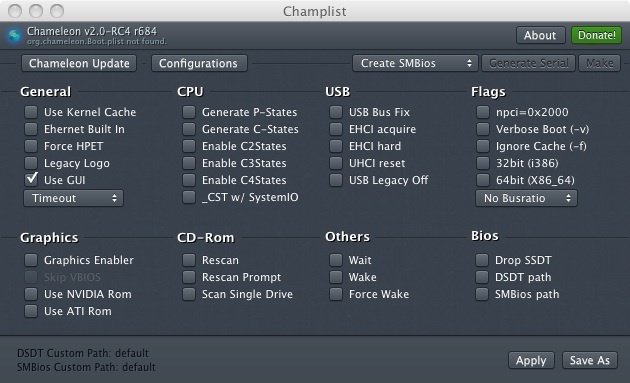 Champlist will guide you through Chameleon install and setup. 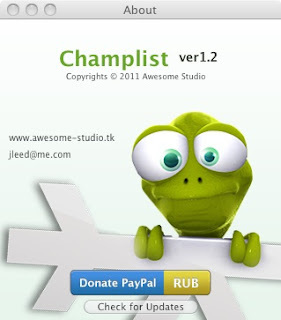 It will download the latest Chameleon trunk and install it on partition you will have to choose. Use kernel cache: means your system won't generate new cache every time you boot, its a standard -f boot flag in snow leopard. Legacy Logo: does what it says. Use GUI: does what it says. CPU: if your cpu is supported, you can enable c or p states. Use NVIDIA Rom - you can use external rom with your card. Rescan - Chameleon will rescan at boot if there is a bootable CD/DVD in your drive, so you can choose it and boot from it. Scan single drive - aha? SMBios path - where is it? OSX Lion or just simply Lion, is Snow Leopard in lion's skin. I wrote a while back, how I don't want to upgrade my hack, and I sill didn't (in OSX Lion install problems). Apple decided to go for iOS look and feel in few programs. Mail, iCal, FaceTime, PhotoBooth look like they are ported directly from iPad. The new way to lunch apps on mac is Launchpad, which is GREAT! Really I didn't think I will say this but, they nailed it! It really speeds things up! I don't really get Mission Control which is just a minor improvement to Expose, but Launchpad is nice! Let's think about it for a bit. The new Safari 5.1 introduced with Lion can be installed on Snow Leopard. Why? Because it is nice to have a secure and up to date browser on all systems. Wait! Wouldn't it be nice to have Lauchpad on every Snow Leopard running Mac, without the need of upgrading? As I said Lion is just like Snow Leopard with some minor tweaks here and there plus few apps in iOS look. As we speak people are porting FrontRow back to Lion because they miss it! So why not port back? Would you upgrade to Lion if you would get Launchpad in next update??? I don't believe Apple will ever do that, so let's update! !!! !Before we continue, please back up your data: most important for this installation is your Extra folder. Back it UP!!!! If you still have problems using App Store it is probably related to your Hackintosh Identifier like iMac 9,1 or MacBook 9,1. Those Identifiers don't exist and that's why using AppStore is failing! Use Lizard app or osx86 tools to quickly modify your data. 2. 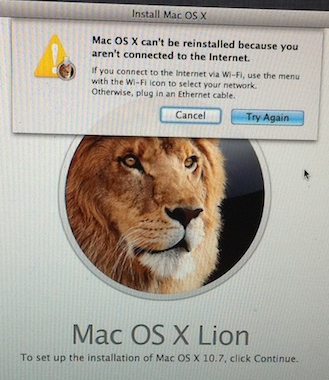 Make a copy of Install OSX Lion if you don't want to download it again. If you have more then one system to install you can save yourself some time here. Just copy it from Application Folder, where it will be after download, to Application Folder on another mac or hack. If you don't get any errors like: "This disk cannot be used to start up your computer" you will have to reinstall Chameleon or in worst case scenario do a fresh Snow Leopard install. Add it to your Boot.plist or change 0 string to a value you like. 5. After booting to Snow Leopard open Disk Utility and create a new partition for Lion Installer. It should be big enough for all OSX Lion install files. Lets Make it 8GB! HFS Journaled or Mac OS Extended Journaled with GUID partition table. Don't forget to go into options and check if GUID is enabled. 6. Open xMove from tonymacx86 and run it. All this program does is copying all the files OSX Lion Installer unpacked on your Snow Leopard partition to your newly created partition. WARNING: DO NOT choose existing Snow Leopard as the Destination. 7. Install Chameleon 2.0 on your 8GB Partition and your Snow Leopard drive so that Lion Installer can boot and. After step 7 you install OSX Lion on your new hard drive. After install you boot into Snow Leopard to install Chameleon on new hard drive where you installed OSX Lion. B. You want to install over Snow Leopard partition. 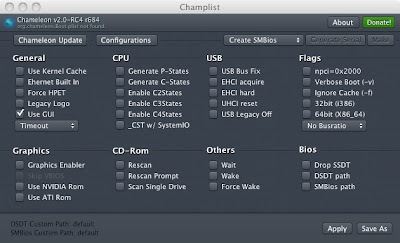 In step 7 you already installed new lion compatible Chameleon on Snow Leopard partition. C. If you have problems booting your newly installed OS use bootable version of iBoot 3.1 or higher to boot into your partition. Remember to back up your Extra folder. 2. Copy “InstallESD.dmg” to your Mac OS X Desktop or somewhere where you want it to be for the moment. 3. Burn It with Disk Utility. 1. Follow the steps 1 and 2 from "Creating a Bootable Install Disc for Mac OS X Lion". 2. Open "InstallESD.dmg" and mount "BaseSystem.dmg"
3. Open DiskUtility and partition your USB stick. 4. In DiskUtility choose your new partition on USB stick and click the restore tab. 5. Drag the Mac OS Base System image in the source and your USB stick partition in destination and click restore. 6. Your partition will be renamed to Mac OS Base System. Go to System/Installation and delete packages folder. 7. From mounted BaseSystem.dmg copy Packages folder back to Mac OS Base System on your USB stick. 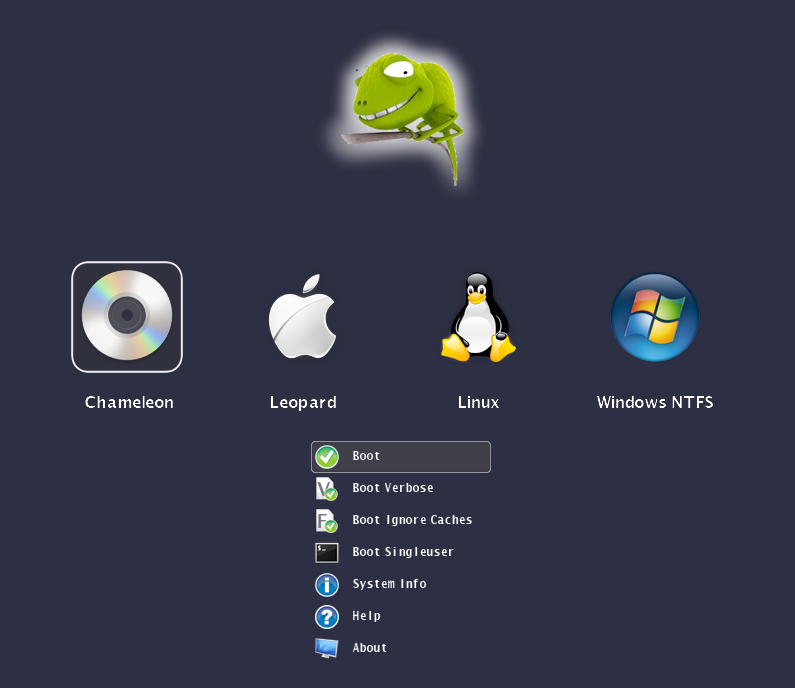 google: Chameleon RC5 Lion Installer on OSX Lion release day. 10. Copy your Extra Folder from your Snow Leopard partition to USB Stick root partition. 12. Boot from iBoot cd you burned before and choose Mac OSX Base System partition as the one you want to boot from. 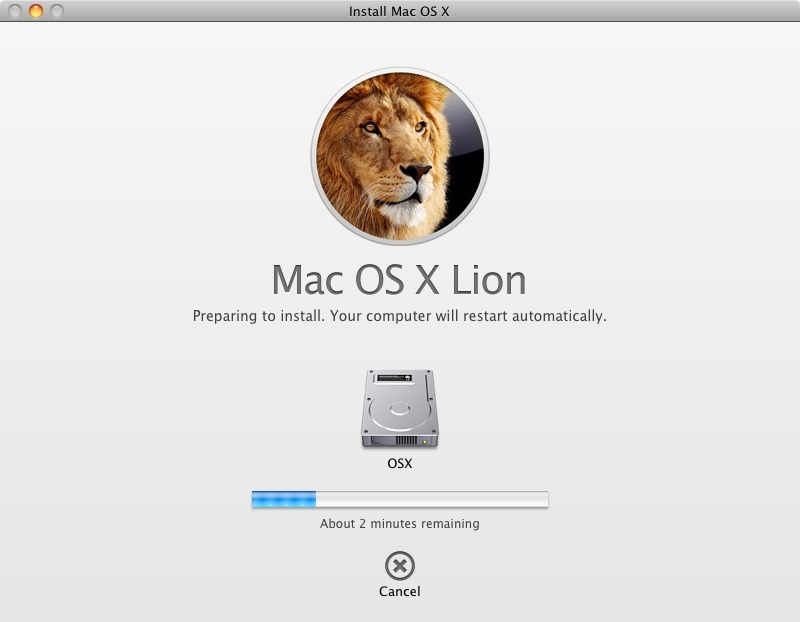 You should be able to boot off your USB Stick aka Mac OSX Base System partition and start installing OSX Lion. During installation you should open DiskUtility and reformat/repartition your old Snow Leopard drive if you want to use only OSX Lion. Lifehacker Hackintosh Lion video install guide. If you don't know it watch it! There are many Bluetooth adapters out there, all of them more or less compatible with windows. If you want to use Bluetooth on Mac you have to find out which Radio and Firmware it uses. Some of $2 dongles will work under mac. If your Bluetooth adapter isn't compatible out of the box, then you might be able to flash it to compatible Firmware. Flashing firmware requires bluetooth dongle which can be flashed. Usually those bigger ones like D-Link DBT-120. The best compatibility you will get with D-Link DBT-120 v1,2,3, and b4. You will be able to flash it with Apple own bluetooth Firmware and thus get the max compatibility. Flashing can be done only on Tiger as the software doesn't work on Intel Macs. So if you have G5 or even G4 with Tiger or something older (it works from 10.3) I advise you to buy it, and you will never have problems with bluetooth. This dongle also works in BIOS (HCI HID automatic switching only when USB legacy is enabled in BIOS) so after it's plugged in you can trash your wired one. Needs custom .kext or kext patching. Do I want to do this again??? seriously ask yourself this question! The big hope is voltron, project started by nawcom and suported by prasys, go check it out. 1. Intel CPU at the moment only Intel cpus will work on hackintoshes, AMD users will have to wait for patched kernel and other fixes. 3. Internet connection. Some sites report you will need to have compatible (out of the box) wireless card prior to installation as it is required to install lion. Workaround: OOB wireless card, supposedly any snow leopard compatible wireless card will work.